North American university teams are forming and storming in anticipation of the upcoming 2019 season. 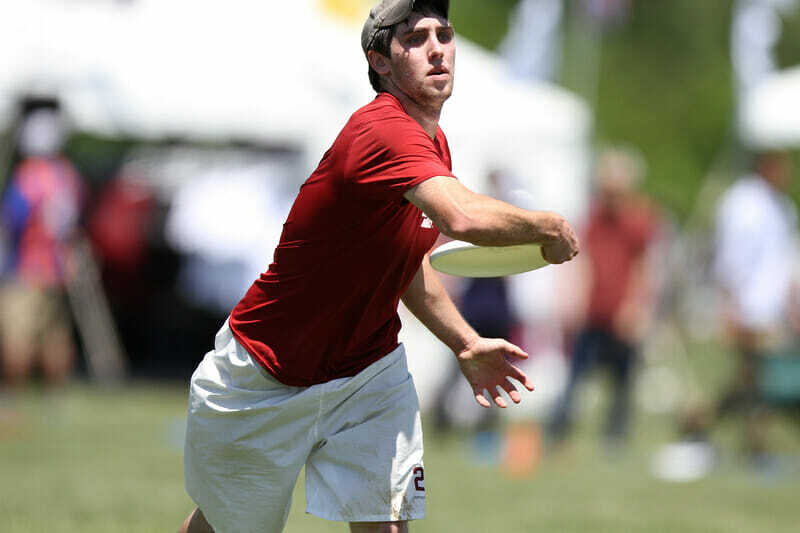 Triple Crown Tour favorites and underdogs are norming and performing for the USA Ultimate Club Championships in San Diego, CA just 10 days away. It’s a busy time of year for ultimate players. Whether you’re teaching rookies a flick grip for the first time or drilling the shaped off-hand backhand necessary to hit your third reset option, every player at every level can always make time to improve their throws. So this week, let’s a take a trip back through the Tuesday Tips archives to look at some our best throwing advice. Learning to throw by repetition only goes so far for most players. Is your flick wobbly? Are you spending every scrimmage at practice getting called for travels by team vets? Dig into Emrick’s easy-to-follow analysis of common problems that face new throwers. For fun: Consider sharing this article with D-line cutters who exclusively cut deep and try to avoid doing anything else after the turn. Competitive ultimate teams have reset systems. Rare is the team that wins consistently at a Regionals level without at least an informal agreement about how to run a reset. But how many teams take the time to break down the process of reading the field and making each reset throw? Long-time Tuesday Tips contributor Alex Rummelhart knows there’s more to getting a fresh stall count than knowing who’s going to cut break off the front of the stack. There are often multiple options developing simultaneously that a thrower needs to prioritize. There are ideal pivoting patters and throwing shapes. Revisit Rummelhart’s step-by-step process for throwing a reliable reset. Bryce Merrill, head coach of both BYU CHI (D-I Men’s) and Salt Lake City Elevate (Club Women’s), knows a thing or two about building year-over-year success at the elite level. Merrill’s teams have a knack for breaking through to the next level of competition, in no small part to his approach to analyzing positions and skillsets. Last summer, Merrill offered up an insightful analysis of more powerful throwing positions. Merrill’s simple suggestions for changing your throwing stance on the open side of the field can save precious seconds between pivot points. They might also open the door for your newfound breakside flick huck. Come for the smart analysis, stay for the dope GIF of Jimmy Mickle dropping a monster flick. Are you sore after practicing hucks? Busy drilling upline catches into power position and try to crank out backhands that sail to the end line? Benji Heywood, ultimate mastermind out of the United Kingdom, thinks you might need to try less hard. Let Heywood help you visualize what’s actually happening in your throwing mechanics during that perfect huck. The visualization and comparisons may help you see your deep bombs from a new angle and help you develop that 65-yard bomb you’ve been dreaming about. If Heywood, a two-decade ultimate veteran, is a throwing sage, Washington D.C. Truck Stop’s Matthew “Rowan” McDonnell is a virtuoso. In this column, McDonnell explains that putting spin on the disc is far from the only trick a thrower needs to achieve mastery of placement and timing. McDonnell uses a series of GIFs he shot himself to build his concept of touch into the way you throw and see the field. Ready to share your own Tuesday Tips? Send your column ideas to editor@ultiworld.com. Comments on "Tuesday Tips: Top Tips For Improving Your Throws, Presented By Spin"